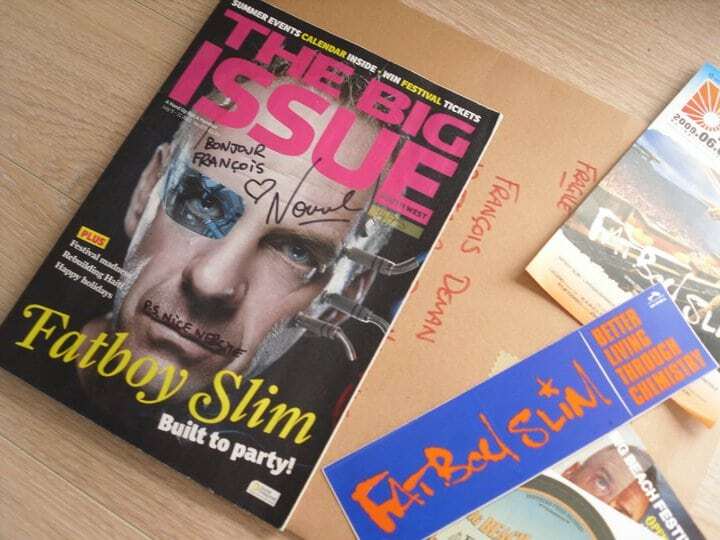 My site is dedicated to the famous english Dj Norman Cook. It’s the result of few years of collecting albums, reading and exhange with International fans. –Francisnotdead aka François, from France. Pictures, texts, audio extracts & videos presented on this site are copyrighted of their owners and manufacturers, they are presented only for consultation. I could use your help. I covered last night’s Terminal 5 show but am having a hell of a time finding past Fatboy tour dates. The last time he was in the states was for Coachella, right? And the last time he was in NY was in 2004 for Polookaville, right? I’d appreciate any help, there aren’t many sites with past tour information for him. hi alex, in my opinion, you’re right. Maybe wait a little, hope american fans could confirm and help you more than me. Francinotdead aka François from France.